Get acquinted with a daily lens that provides performance throughout a demanding day. 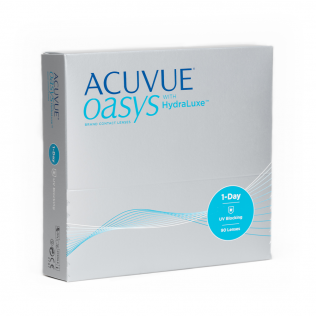 The Acuvue Oasys 1-Day with HydraLuxe technology from Johnson & Johnson is a daily lens with unique specifications. The 90 pack contains enough comfortable lenses for 3 months. The newest daily lenses from Johnson & Johnson, Acuvue Oasys 1-Day with HydraLuxe provides performance throughout a demanding day. HydraLuxe is the latest technology that contains a tear-infused design to help reduce symptoms of tired eyes and dryness. Experience performance and all-day comfort, vision and handling with the innovative HydraLuxe technology. These daily disposable lenses manufacturer Johnson & Johnson are made of the material Senofilcon A and are very suitable for people with sensitive or dry eyes. The special technology Hydra Luxury ™ ensures all day for hydrated, fresh and healthy eyes. LensOnline. 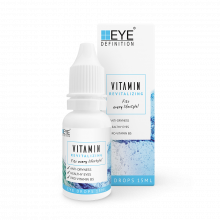 be offers online contact lenses and fluids for an affordable price. Our catalog consists of daily lenses, monthly lenses, toric lenses, multifocal contact lenses and lens fluids. Don't miss our discounts and order your lenses at LensOnline! ACUVUE®, 1-DAY ACUVUE® MOIST, ACUVUE® VITATM ACUVUE OASYS® 1-Day and LACREON® are trademarks of Johnson & Johnson Medical BV/NV. All ACUVUE® Brand Contact Lenses have UV Blocking to help provide protection against transmission of harmful UV radiation to the cornea and into the eye. 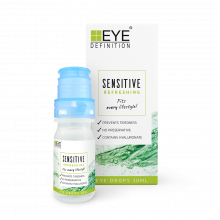 UV absorbing contact lenses are NOT substitutes for protective UV absorbing eyewear such as UV absorbing goggles or sunglasses because they do not completely cover the eye and surrounding area. You should continue to use UV absorbing eyewear as directed by your optician.